The ELM2 (Egl-27 and MTA1 homology 2) domain is a small domain of unknown function. It is found in the MTA1 protein that is part of the NuRD complex (PUBMED:10226007). The domain is usually found to the N terminus of a myb-like DNA binding domain SANT SM00717. ELM2 is also found associated with an ARID DNA binding domain SM01014 in Q84JT7. This suggests that ELM2 may also be involved in DNA binding, or perhaps is a protein-protein interaction domain. 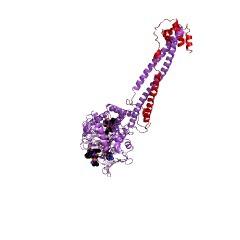 The ELM2 (Egl-27 and MTA1 homology 2) domain is a small domain of unknown function. It is found in the MTA1 protein that is part of the NuRD complex [(PUBMED:10226007)]. 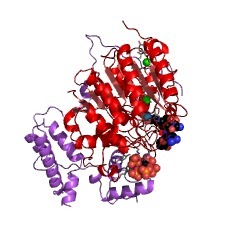 The domain is usually found to the N terminus of a myb-like DNA binding domain and a GATA binding domain. ELM2, in some instances, is also found associated with the ARID DNA binding domain IPR001606. This suggests that ELM2 may also be involved in DNA binding, or perhaps is a protein-protein interaction domain. There are 7103 ELM2 domains in 7092 proteins in SMART's nrdb database. Taxonomic distribution of proteins containing ELM2 domain. This tree includes only several representative species. The complete taxonomic breakdown of all proteins with ELM2 domain is also avaliable. Click on the protein counts, or double click on taxonomic names to display all proteins containing ELM2 domain in the selected taxonomic class. The Caenorhabditis elegans genes egl-27 and egr-1 are similar to MTA1, a memberof a chromatin regulatory complex, and are redundantly required for embryonicpatterning. We show here that two functionally redundant Caenorhabditis elegans genes, egl-27and egr-1, have a fundamental role in embryonic patterning. When both areinactivated, cells in essentially all regions of the embryo fail to be properlyorganised. Tissue determination and differentiation are unaffected and manyzygotic patterning genes are expressed normally, including HOX genes. 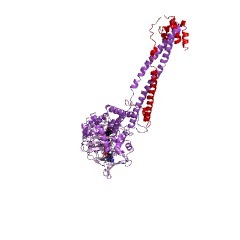 However,hlh-8, a target of the HOX gene mab-5, is not expressed. egl-27 and egr-1 aremembers of a gene family that includes MTA1, a human gene with elevatedexpression in metastatic carcinomas. 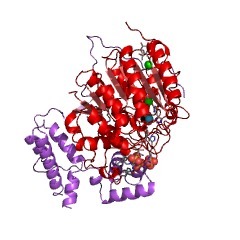 MTA1 is a component of a protein complexwith histone deacetylase and nucleosome remodelling activities. We propose thatEGL-27 and EGR-1 function as part of a chromatin regulatory complex required for the function of regional patterning genes.